Don West and Maurice (“Moe”) Unis have known each other since childhood, having studied piano with the same teacher. As adults, they both entered the music business: Don at Portland Music Co., and Maurice at Moe’s Pianos. Don joined Moe’s Pianos in 1986 and stayed until Sherman Clay bought the company in 1989. Then Don started “Classic Pianos” as a boutique piano salon with Rob Church, with whom Don had worked previously in the music business. In 1995 Don sold Classic Pianos to Moe and worked for Sherman Clay’s event team called Concerto Marketing — later merged with Forte Marketing Group owned by Moe. When Maurice and his son Brian started the newly-enlarged Classic Pianos in 2001, Don worked with Moe and Brian, as well as with Forte Marketing Group. Don moved to Denver in 2012 with his wife Sweet Water to assume management duties at Classic Pianos in the well established Onofrio Building. Joe began his piano studies at the age of four and also mastered accordion, clarinet, saxophone and a variety of other musical instruments as a young man. He has over 30 years of teaching experience and has worked as the Education Director for the Onofrio Piano Company since 1990. Joe is currently in-house instructor for Classic Pianos of Denver. He welcomes all ages and playing levels and will design a learning curriculum in any style of music - Classical, Jazz, Pop, Rock, and other genres. “My goal is to help students of every age and ability advance their understanding and love of music in a fun and positive environment,” he notes. As an Education Director for the Baldwin Piano and Organ Company, Joe assisted in creating many of the educational teaching materials used by the company. He was also a Musical Director for the Bonfils Theatrical Division-Denver Center of the Performing Arts where he guided numerous professional theatrical productions. 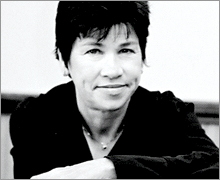 Genova has composed original theatrical and film scores and has worked in the recording and commercial industry. He is President of Salsa Central Denver, a non-profit organization with over 600 members, and also serves as a consultant for several other non-profit organizations. Mark has been a musician since his teens. He entered the construction business — eventually learning musical instrument repair and cabinetry refinishing — and started working in the piano restoration business in 1985. He’s worked with the Onofrio Piano Co. since 1998. Currently, he does contract cabinet and furniture restoration for Classic Pianos working out of the shop in the Denver showroom. Amy Richards is a native Oregonian, born and raised in Portland. Having a combined interest in the judicial system, and helping those caught up in it, Amy pursued an Associate Degree in Criminal Justice with the intention of becoming a probation officer. However, in 2012 after taking a part time job at Classic Pianos in Portland, Amy discovered she loved being in the sometimes-quirky, creative, music world. Her personality was a perfect fit and she was quickly promoted to a full time position. In March 2015 Amy was requested to move to Colorado to take over the important role of Office Manager for the rapidly expanding Denver store of Classic Pianos. Between Amy's new responsibilities, adapting to a new city, adjusting to Denver's mile-high altitude, and keeping her cat "Guinness" under control, Amy is also learning to play the piano. Tuning and repairing pianos in the Greater Denver area since 1975, Gary is dedicated to providing each customer “the best tuning” for their piano. From old uprights to premium Bösendorfer grands, he prides himself on tried-and-true techniques. “My tuning is done the traditional way, tuning by ear, which will give your piano the most harmonic tuning,” he says. Gary went on to explain that “Pianos are imperfect instruments, and they vary from one piano to another, even the same make and model. The best tuning method, if done by an experienced and talented tuner, is to actually listen to the piano and tune the octaves and other intervals where they sound the best.” His clients include numerous teachers, Regis University, the Buell Theater, Ellie Caulkins Opera House — with its magnificent Bösendorfer concert grand — many Jefferson County schools, and thousands of individuals over the years. Whether working on a 100- year-old Steinway grand action or replacing a broken string on a spinet piano, Gary has an established reputation for his pride of workmanship in tuning, voicing, repairing, and diagnosing piano problems. Michael had extensive apprenticeship training under Robert Herron, Steinway Technician for Sherman & Clay, Los Angeles. Further education and certification was at the CF Theodore Steinway Technical Academy, Steinway & Sons, New York; and at the Yamaha Performance Piano Training center in Los Angeles. Michael has performed work for Bravo Vail, Vail International Dance, Vail Jazz, King Center of Denver, Lone Tree Performing Arts Center, Metro State College, Regis University, among many others. He has served as Concert Technician for the Los Angeles Chamber Orchestra, Los Angeles Mozart Orchestra, and Piano Technician for numerous performing artists. Partial list includes Elton John, Jeffrey Kahane, Norman Krieger, Jean-Ives Thibodet, John Perry, Gloria Chang, Danny Pollick, and many more. Before moving to the Denver area, Michael performed prep work and concert set up services for several Los Angeles piano stores including Sherman & Clay, Colton Piano, and Fields Pianos. Classic Pianos is proud to work with Michael, and other experienced tuners and technicians introduced on this Web page, as part of our “extended staff” and family. Kris has been working with pianos since 1992. During the summer of 1993 he worked as an apprentice tuner at the Aspen Music Festival. Western Iowa Tech awarded him a degree in piano technology in 1994. Kris has been a member of the Piano Technicians Guild since 1993; and, in 1998, passed the Guild’s comprehensive series of exams to achieve the status of Registered Piano Technician (RPT). Working as a staff technician at highly regarded piano repair and rebuilding facilities in Toronto, Canada, and Denver, Kris developed considerable skills and a passion for refurbishing and rebuilding fine old pianos. “Nothing is more satisfying than giving an old instrument a new musical life,” he says. Kris now works independently, serving clients throughout the Greater Denver area , in cooperation with Becky Jakobsen, RPT and Classic Pianos of Denver. Growing up in West Los Angeles, and coming of age in Hollywood, made his love for music come naturally. After studying piano, guitar, trombone, and saxophone as an undergraduate at UCLA and USC, Ralph’s bands recorded with Reprise and United Artists. He began with a course in piano tuning with a Piano Technicians Guild (PTG) Craftsman, who encouraged him to enroll in UCLA’s piano technology course. Ralph was a charter member of the American Institute of Piano Technology. Contracting with Simi Valley Piano Company, membership in PTG, and seminars with Kimball and Bösendorfer followed. In 1979 Ralph moved to Boulder, Colorado and began a 15 year music career in retail, tuning, and rebuilding. Some of Ralph’s long time clients include the Colorado Music Festival, DazzleJazz, the Boulder Theater, Naropa University and Etown Hall. His work and association with Classic Pianos, Denver, has enriched and expanded his profession. A Registered Piano Technician with the National Piano Technicians Guild, Mike has been tuning professionally in Missouri and Colorado since 1981. In February of 2014, he was invited to attend the prestigious Yamaha Performance Piano Training Program and now acts as an authorized Yamaha Artist Tuner / Technician. This distinction allows Mike the privilege of maintaining Yamaha’s CFX Concert Grand for the State of Colorado. 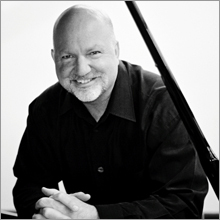 Mike has performed work for many concert venues, churches, schools, piano teachers, and private clients. Partial list includes Red Rocks Amphitheater, Denver Center for the Performing Arts, and Jefferson County Schools. Music has been a big part of Mike’s life. He played in bands throughout high school and studied classical guitar while in college — still playing and studying guitar today. Mike’s son, Daniel, shares his dad’s passion for music and graduated recently from the University of North Texas with a degree in composition. Marty Sweeney has been a professional full-time piano tuner since 1978, having enjoyed such discerning clients as The Arvada Center, Swallow Hill, The Fillmore, Red Rocks Amphitheater, Alicia Keys, Mary Chapin Carpenter, k.d.lang, Karla Bonoff, John Tesh, and many more. His loyal clients also include churches, schools, piano teachers, piano dealers, and many satisfied private piano owners in Colorado. As a native of Colorado, Marty knows the pianos in the area and what they need in this variable climate. In addition to tuning upright pianos and grand pianos, Marty also has experience tuning older air-pump based player pianos and is a certified Yamaha Disklavier technician. His extensive experience, honest, reliable service, and competitive prices have made Marty the number one choice for piano owners in Colorado. With his contagious passion and enthusiasm for this fine instrument, Marty Sweeney will surely become your piano tuner of choice as well. "Besides having my wife and sons in the business with me, I am fortunate to be surrounded by some of the best piano people to be found anywhere in the entire piano industry...marketing, sales, technical, refinishing, restoration, touch-up, and piano moving professionals...who all share my passion for fine pianos. Collectively, they represent well over 150 years of experience with five-star rated pianos from American, European, and Asian piano makers," says Maurice R. Unis, president and owner of Classic Pianos, LLC. Maurice has lead his team of nationally-recognized associates to bring home the Top Dealer Award from every piano manufacturer his stores represent. Moe’s reputation for sales, service, and community involvement, backed by his original Classic Pianos Five-star Lifetime Trade-up Policy, has been recognized throughout the Pacific Northwest, the United States and Canada, and by the world’s top-tier piano manufacturers. Click History for the whole story about his fourth generation piano family. Cathy Traylor minored in music at Miami of Ohio and later played piano for Civic Theater and Storefront Theater productions in Portland. She started working with Maurice Unis at the original Moe’s Pianos in charge of event rentals and master classes. She then joined Sherman-Clay in Portland, following Sherman & Clay’s 1989 acquisition of Moe’s Pianos. Cathy rejoined Maurice again in 1995 at Forte Marketing Group where she organized event sales coast-to-coast, working with a national team that included Chris Ranney and Don West. Now married to Maurice, Ms. Traylor continues to give input regarding public relations, advertising, and marketing activities — including advertising for symphony programs, newspaper advertising for university events, and special promotions. Click History and read New Frontiers.